A little over a week ago we graced the site with these gems: Mimosa Macarons with Champagne Buttercream. We're back with the same partner in crime, Ashley Khawsy of Smash Bakes, to once again prove your supreme baking reign to your loyal subjects. 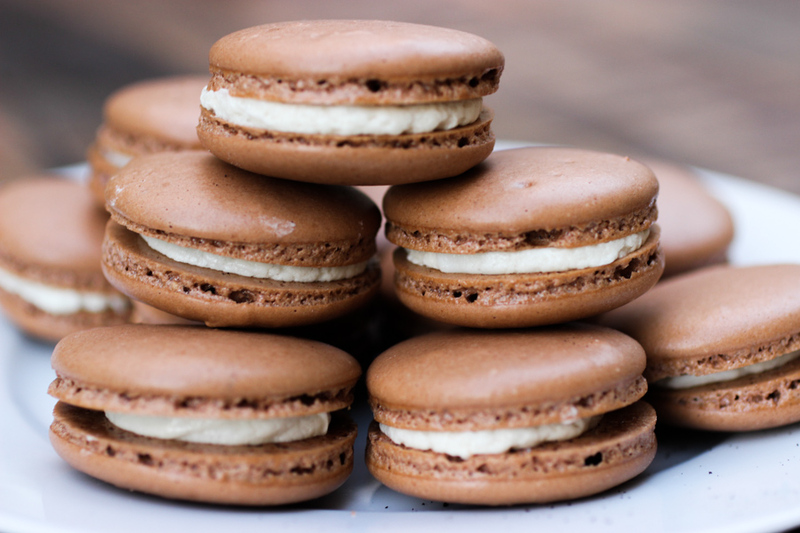 This time it's combining your favorite caffeinated vice (coffee), with your favorite alcoholic vice (whiskey) AND still finding a way to integrate a second alcohol with these Irish Coffee Macarons stuffed with a Bailey's Buttercream. We seem to be semi-obsessed with alcoholic sweet treats (see Drunken Oreos), but can you really blame us? The full recipe instructions are in the video, and again you'll find measurements in grams because you'll need to be precise, aka use a scale.